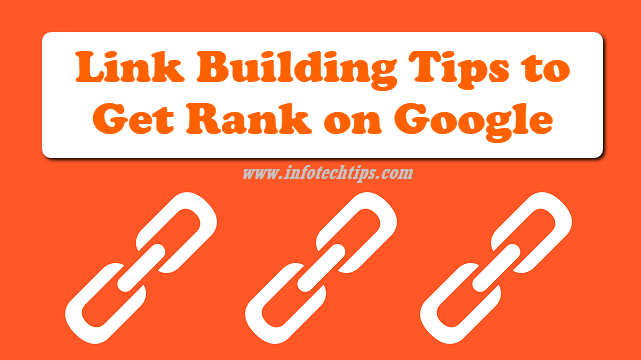 You may wondering how you can do link building for your website to get higher rank on search engine google. There have lots of techniques we already known about some legitimate techniques as like white hat, Natural and classified as black hat. These type of techniques actually violate the webmaster guidelines of google and labelled as web spam. Today I am discussing about link building tips for beginners. The trick I have described bellow thats only for getting good rank on google not about spam on google. There have lots of false and wrong way that we were doing long time it can be cause of penalize your website from google. So, I think you should follow the perfect way to link building. Off page SEO, such as building link which can be tricky for business or others which is tactic to avoid altogether. Some would claim for web spam, which will be listed on google as spam and google will rank down. All link building are not web spam & in fact, now link building is still incredibly an important aspect of SEO-search engine optimisation. There have Natural links and Unnatural Links. A natural link freely given of editorial link and unnatural link you make by yourself. Google raknings depends on both. Google doesn't want to count link which is not editorial. Google always want to reward high quality‘user value add content which has earned organic & natural links. 1. You can start asking for backlink which is a good way for beginners to start. Find your friends, colleagues, relatives, partners, clients who have a blog or website. All you've to do is tell them for a backlink. Make the backlink in-content links instead of links on the sidebar/footer. In this case you have be careful & make sure that backlink comes from the website which is relevant to niche, otherwise it will not get the good result and even it can be harmful. 2. There have many directories that actually provide no real value on the Internet users & Google excluded them from search results. You may don’t want website to be listed on those pages. But all directories are not bad. There have trustworthy directories that not only gives the chance to post your link to website, but also it provides useful information to the potential customers which is a good directory you should listed your site on there. Example: Dmoz. 3. You can Write a good guest post on others website. There have many sites or blogs that accept to publish guest post article. Before write article on others site, make sure that your choosen webs or blogs are relevant to your web topic. You should focus on the quality. Write well as like professional and make it interesting to who will read. Poor article can brign the bad reputation for you. 4. One of the best way to use social media. Good content share on social networks it doesn´t mean that just new visitors will come, but also its a promotion to people who also can build new backlinks. Share content more than once to get more and more traffic to reach visitors in the different time zones. Make a sharing buttons clearly as visible around your content. 5. You should avoid creating unnatural backlinks for your site. Because that can be cause of penalize your web from Google. Natural backlinks is very helpful to get rank on Search Engine quickly. It increase the value of your website to Google. That also helps to get the Page Rank Fast. Unnatural always takes your web as spam and I think no ones wanna get that result for his/her own website. 6. Google hates the paid links that we always try to buy from online services. It is an obvious way for generating the heat signature and get ranking ability that a site might not deserve. Identifying 1 or 2 hot sites, & purchasing links on pages of that site, is enough to flame up an unmerited site and entire network send it to the top of Search Engine Results Pages. Always Google likes linking within natural way. So you should always avoid buying backlinks from other sites.